Ebha Kujur from Ranchi, B.Sc Graduate. 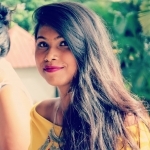 Ebha Kujur is Fashion Designer and currently have no work experience. APPAREL DESIGN PATTER MAKING ADOBE PHOTOSHOP ADOBE PHOTOSHOP_ADO.. COREL DRAW GRAPHIC DEISGN DIGITAL DESIGN VERIF..
are one of expert skill area's of Ebha Kujur . Ebha Kujur is working in Others industry.